15 million acres of foliage burst into spectacular color! Steal away for a few-day getaway. 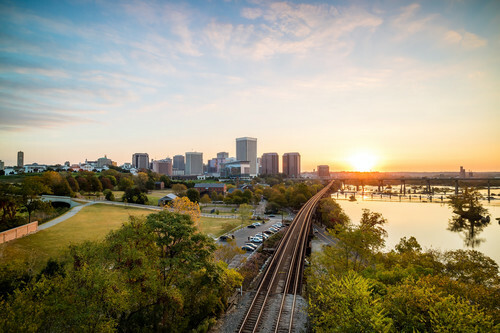 You deserve an enjoyable scenic drive through the foliage, the opportunity to savor Virginia’s culinary and beverage delights, and above all, the time to reconnect with your loved ones. Virginia clothed in autumn colors is a beautiful sight to behold.. Experience farms transformed into playgrounds with apple picking, harvest festivals, corn mazes, and hay rides through pumpkin patches. Or perhaps fall leads you to the coast, where migrating fowl are the only crowd you’ll find. Whatever you choose, Virginia’s scenic roadways will show off the striking natural beauty along the way. Enjoy photogenic foliage opportunities, great eats, and other hidden treasures. This fall when you visit the Cabin Capital of Virginia, you can bring your dinner jacket and tie but you’ll also want to pack your favorite jeans, some comfy shoes and an old sweater! Offering hiking and biking trails; rich history and heritage, and within minutes of the George Washington National Forest, spectacular views from 4,398 feet above most other mountains. Looking for miles of colorful countryside, Civil War trails, vistas, rivers, parks, and small town charm? Look at Luray! Secluded trails, scenic byways, and picturesque blueways offer a natural getaway from the hustle and bustle. With so many options for outdoor fun, you may wonder where to start! This amazing fall getaway will create memories you’ll treasure for a lifetime, beginning in Ferrum and ending in Damascus. From scenic drives to area attractions, from dew-drenched vineyards to evenings of jazz. Martinsville-Henry County has everything a little something for everyone. The Chesapeake Bay region boasts more than 6,500 acres of natural areas and 1,100 miles of shoreline. Do Mathews and celebrate life on the Chesapeake Bay!